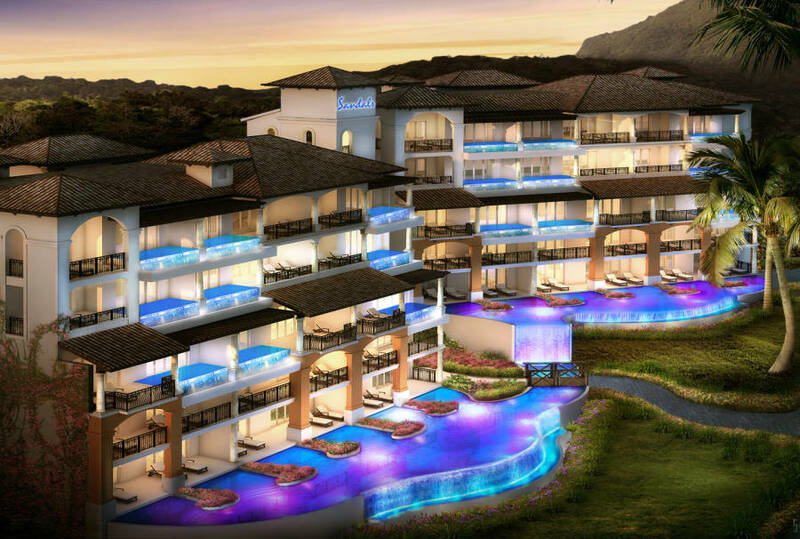 Business at Sandals LaSource is expected to be extremely busy during the first three months of operations as seventy percent of the rooms at the Sandals LaSource Grenada are already sold until February 2014. Scheduled to open in December, the newest addition to the Sandals hotel chain is creating a buzz amongst consumers and the travel trade — both excited about the chance to enjoy a spectacular new Sandals resort in a fantastic destination. A news release from Sandals said that with construction plans on schedule, excitement is mounting and driven by a robust marketing campaign, Sandals LaSource is being showcased on the international stage. From the recent release of the latest imagery of the resort’s much-talked-about Skypool Suites to other dazzling renderings of the many luxuries the resort will offer, no stone has been left unturned as the company begins to market Grenada and Sandals LaSource to the world. The release from Sandals said that recognising the importance of their relationships with tour operators and travel agents, Sandals Resorts International and their worldwide sales and marketing representatives, Unique Vacations, have embarked upon a programme of briefings and presentations giving them a taste of what’s to come at the new resorts. For several months, Sandals LaSource has been given pride of place on the official Sandals website homepage where millions of potential holidaymakers have been tempted with opening specials being offered to early bookers. In addition, Sandals LaSource has been exposed to millions via the company’s buzzing social media platforms which have featured sneak peeks of resort images, the latest news and exciting promotions. Through creative email blasts and newsletters Sandals’ treasured returning guests have also been informed on all things Sandals LaSource and Grenada.